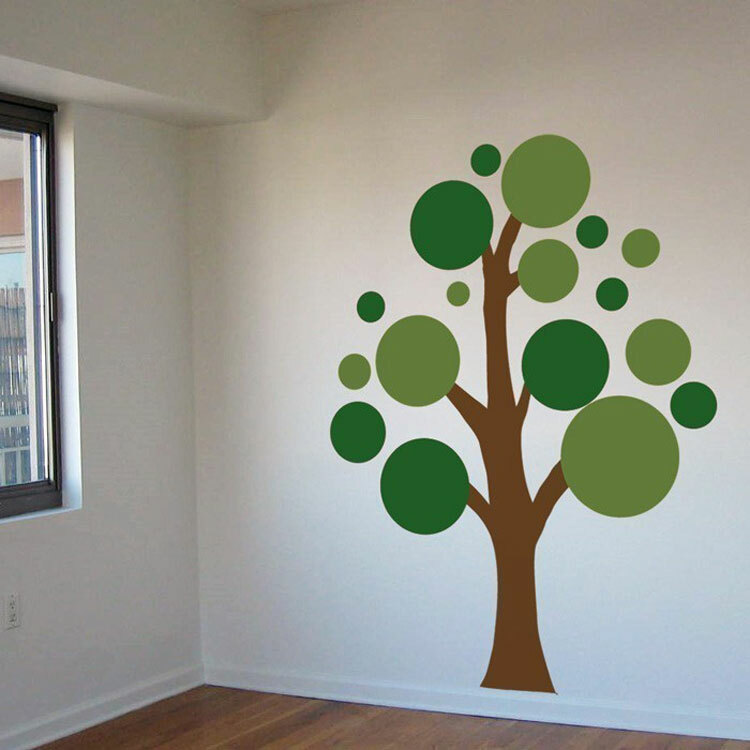 Our Lots of Circles tree wall decal is a cute, simple and modern way to decorate the room of your choice! Great for nurseries, it's easily customizable with the 3 colors of your choice. This circle tree wall decal measures approximately 66" tall by 46" wide and is shown here with a dark brown trunk and olive and hunter green circles. We also include a set of cute bird wall decals in the same color as the trunk so that you can apply them however you like. Wow! I am so impressed with my decal. We recently painted my daughter's room and placed this behind her bed. It is absolutely adorable! It was very easy to transfer and is made really well! I would high recommend this product. I got one of the monograms decals for my daughters wall. I love it! It looks so great.